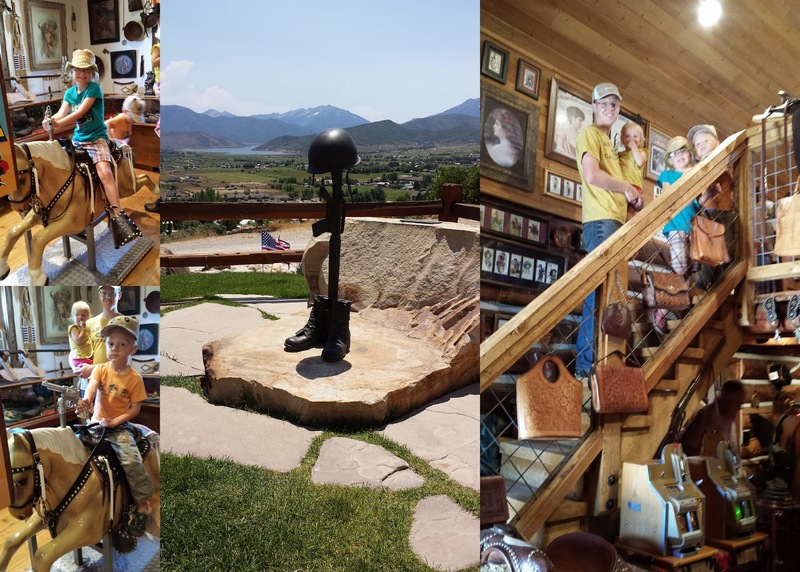 Traditionally, we celebrate Independence Day with family but this year we decided to do something different and headed out to Heber City for a quick get away. 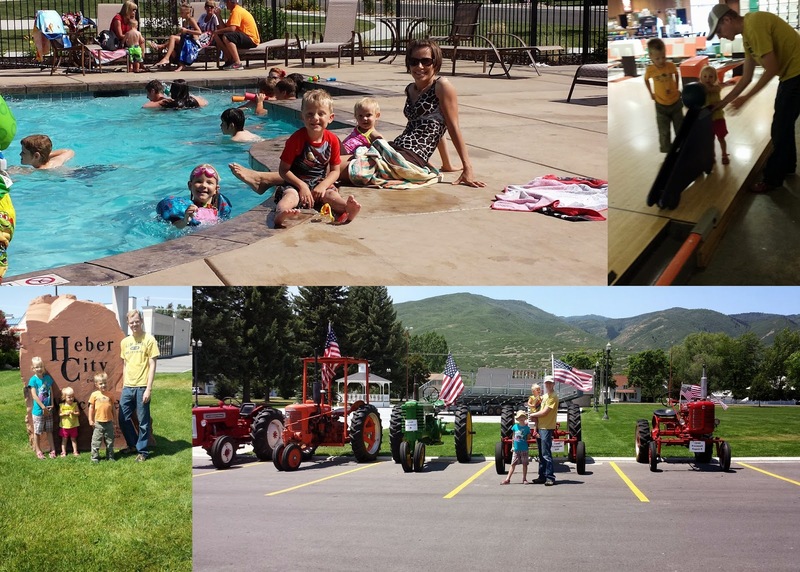 We borrowed Todd's parents RV and spent a few days at the Rocky Mountain RV resort. This newly built facility was great. The kids enjoyed watching a movie in the park, swimming in the pool and playing in the playground. Emilia and Carson have been in swimming lessons all summer. Carson is still afraid of jumping off the diving board, but is less afraid of getting his face wet in the water. Emilia has become a little fish. Her fear of the water has completely gone away. Now, we can't keep her away from the water. One of the mornings we took the kids bowling. Stella scored two strikes without even trying. Emilia, who tried her hardest never got one. It's funny how things happen that way. 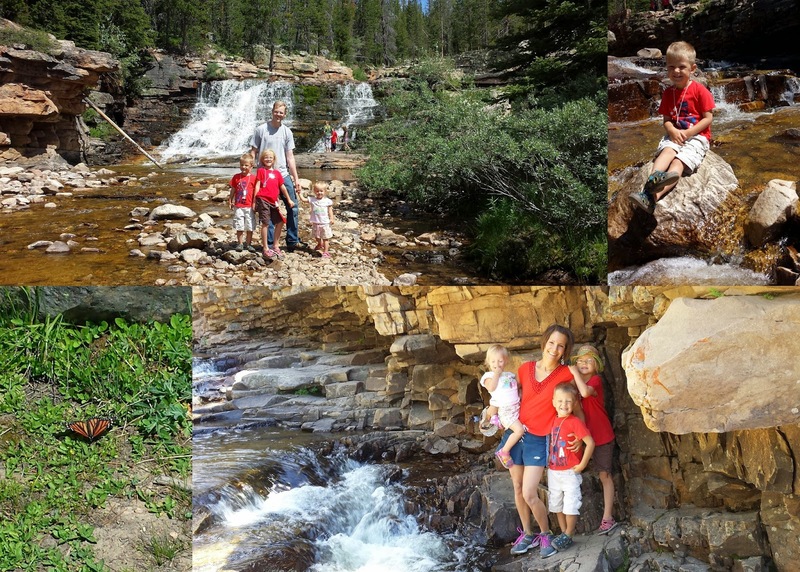 On the 4th of July we hiked the Provo River Waterfalls. It's not much of a hike, the waterfalls can be seen from the parking lot, but they are amazing nonetheless. 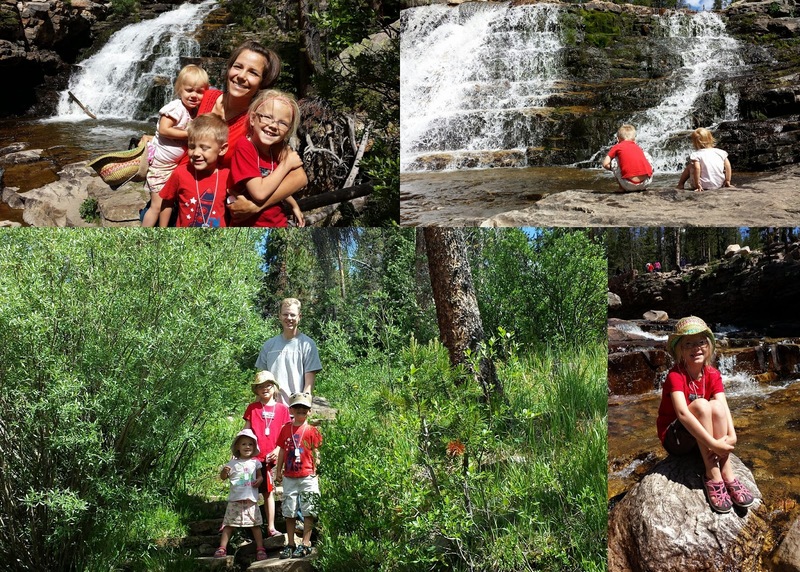 The kids really enjoyed the easy hike and playing in the water. We even got to see some really large monarch butterflies on the trail. 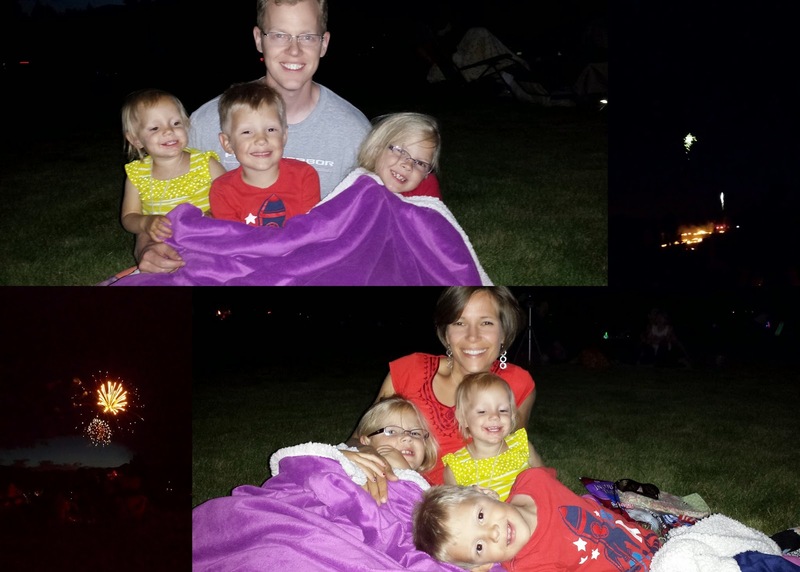 That evening we attended the Midway City fireworks. The city shoots them from Memorial Hill, a small hill near a park downtown. After the first few minutes of the show, Todd asked me if I've noticed the fire on the hill. Sure enough, the fireworks had started a brush fire on one side of the hill. It was hard to watch the fireworks. I don't know anything about fire so I was unsure as to how fast it would spread and reach the park at the bottom of the hill where we were. Time seemed to pass really slowly between the time I noticed the fire and when I heard the fire truck's sirens headed that direction. They must have had it under control rather quickly because there was no mention of anything in the local news the next morning. Once a year, a local collector of cowboy and Native American artifacts opens up his personal museum to the public. This man has a two-story cabin chuck full of original items. Next to his cabin is Memorial Hill. We decided to drive up to the monument up top and check out the damage from the fire. It was quite a scary drive for me. The road is barely wide enough for two vehicles to travel on it and there is no rail on one side. Every time we would come across a car traveling the opposite direction I would just close my eyes until we were past it. The trip was so much fun! 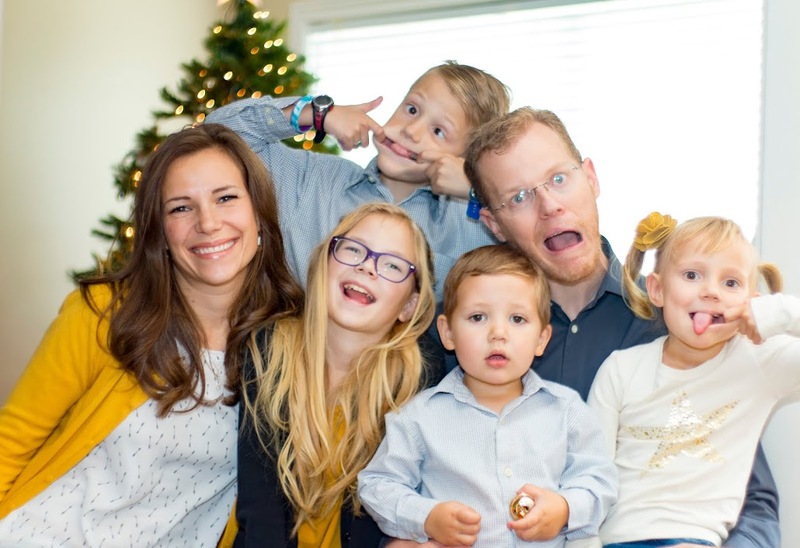 I am glad we decided to get away for a few days to spend time as a family.